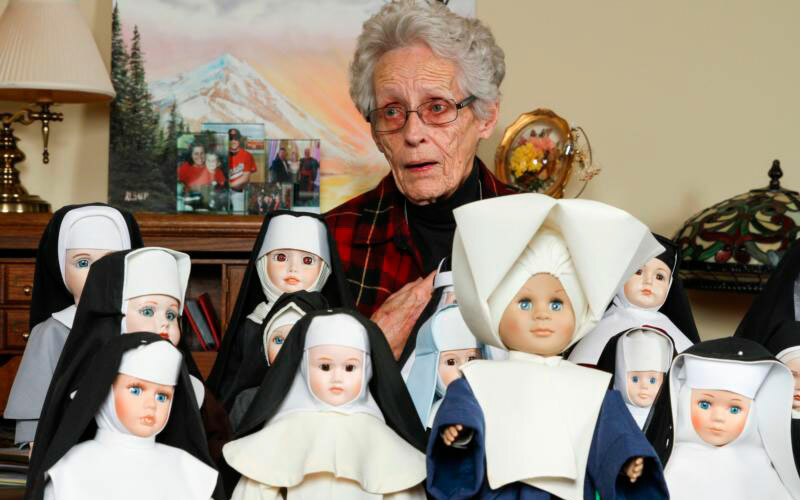 Nun doll collector donates her assemblage to the Archdiocese of Atlanta to preserve the historical legacy of women religious. Eight students at Siena Catholic Academy in Brighton recently volunteered to have their hair shortened for a good cause. The hair will be given to Locks of Love, which provides hair pieces to children suffering from medical hair loss, and to Pantene Beautiful Lengths, a partnership with the American Cancer Society that benefits women battling cancer. Click here to view more photos from this event and/or buy prints. Eight students at Siena Catholic Academy in Brighton recently volunteered to have their hair shortened for a good cause.